We live in an increasingly dynamic and dangerous world. Have you ever struggled to understand how the repercussions of disruptive events, like the dramatic drop in the price of oil, the expansion of global terrorism, the fiscal consequences of having an out-of-control national debt, or the environmental effects of global warming, will affect you, your family and your business? While each of these challenges might have minimal immediate effect on your day-to-day life right now, the socio-economic chain reactions they set off will impact all of us, significantly. When the dominoes fall, will you be crushed or will you thrive? Imagine never having to experience those frustrations again. Imagine being able to take control of your life instead of having circumstances control you. Imagine staying two steps ahead of the inevitable. The Domino Principle applies tools, resources and strategies to help individuals, businesses and investors see “deep repercussions” and shape their future. There are 10 individual Domino Principles that provide a framework that allows each of us to thrive and flourish by understanding how events happening today will impact our lives tomorrow. They also provide strategies to help take command of those aspects of our lives in order to realize chain reactions that will produce desired future outcomes. 1. Deceptive Perceptions — “You must not fool yourself, and you are the easiest person to fool.” — Richard Feynman. “We can evade reality, but we cannot evade the consequences of evading reality.” — attributed to Ayn Rand. 2. Determined Proactivism — Continually strive to be a cause of the future rather than a result of the past. The future can be better than the present, and you have the power to make it so. 3. Dance Passionately — Never stop dreaming of a better world, working to bring your dreams to fruition, and celebrating the gifts you already have in your life today. 4. Distress Potential — Recognize and take advantage of the fact that the greatest opportunities often come out of times of crisis and distress. 5. Developmental Psychohistory — While one cannot foresee the actions of a particular individual, one can sometimes apply the laws of statistics to large groups of people to predict the general flow of future events. Economic bubbles, mass hysteria, collective obsessional behaviors and “rational selfish behavior” can be driving societal forces whose repercussions must be recognized and anticipated. 6. Discerning Predictions — “Skate to where the puck is going to be, not where it has been.” — Wayne Gretzky. Never underestimate the power of human stupidity, or of human ingenuity. 7. Disequilibrium Propagation — Understand how and why our world is constantly shifting from one state of disequlibrium to another. There is no normal anymore. 8. Differing Perspectives — Always look at each situation from multiple perspectives and understand how others with opposing viewpoints have reached their position. Curiosity creates opportunities. 9. Disaster Preparation — Hope for the best, prepare for the worst. 10. Don’t Panic! — Keep your head even if all about you are losing theirs. Don’t sweat the little things, don’t put effort into trying to change things outside of your control, don’t stop believing in yourself, and don’t succumb to dysfunctional paralysis. Never let fear dictate your future. Each of these 10 principles will be elaborated upon further as this blog develops. Join us on our journey to understand consequences and apply answers and solutions. See also: Our first posting on this blog tells the story of how and why we founded The Domino Prinicple. Our second posting delves deeper into what The Domino Principle is all about. The Domino Principle was founded under the leadership of award winning entrepreneur, trend forecaster, and M.I.T.-trained rocket-scientist Dr. Cliff Kurtzman, leveraging on his experience in seeing technology trends in the world before they became widely realized, figuring out how they would impact our lives and then creating businesses that leveraged those trends ahead of many others. You can read more about Cliff’s background at http://www.kurtzman.biz. Cliff is the publisher and editor of The Domino Principle Blog, which is published under the auspices of ADASTRO Incorporated. 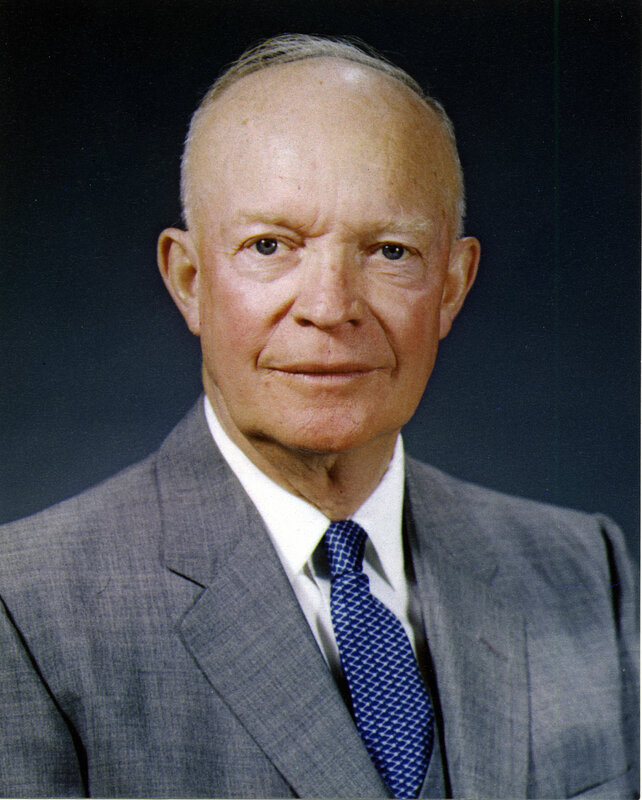 While Eisenhower was particularly focused on the potential spread of communism in Indochina, the principle he describes, and which we have extended and used to name our new venture, has much broader applicability. It isn’t fortune telling, and it isn’t rocket science. It’s the Domino Principle. WANT TO CONTRIBUTE? If you have a relevant story to tell, we’d love to have you share it with our readers. We also welcome guest contributors offering perspective and analysis on how events happening today will impact our lives in the future, and how individuals, businesses and investors can take specific actions to shape their future. Additionally, would be pleased to provide a platform for analysts wishing to provide ongoing content and expertise related to how events will affect a specific industry or topic vertical (e.g., real estate, banking, civil liberties, education, etc.). If you wish to contribute, please use our Contact Form to send us a note. COPYRIGHT NOTICE: The Domino Principle blog is published by ADASTRO Incorporated d/b/a The Domino Prinicple. Our original material is protected under copyright laws of the United States of America as well as international copyright provisions. The blog accepts contributions from individuals and contributors who can post content without the company’s review or oversight. While “Fair Use provisions” allow our publishing of external content for purposes such as commentary, criticism, and news reporting, should something you created be posted on our site and you wish it removed or you believe it is in violation of a copyright which you hold, please use our Contact Form with a request to remove your content. Please provide your name, contact information, a detailed location (URL) of the content you wish to have removed, and a way to verify that you are the copyright holder of the content. We will review your submission and respond to you promptly. The Domino Principle is not affiliated with Domino’s Pizza, Domino Convenient Stores, Domino Heating Oil, or Fats Domino.